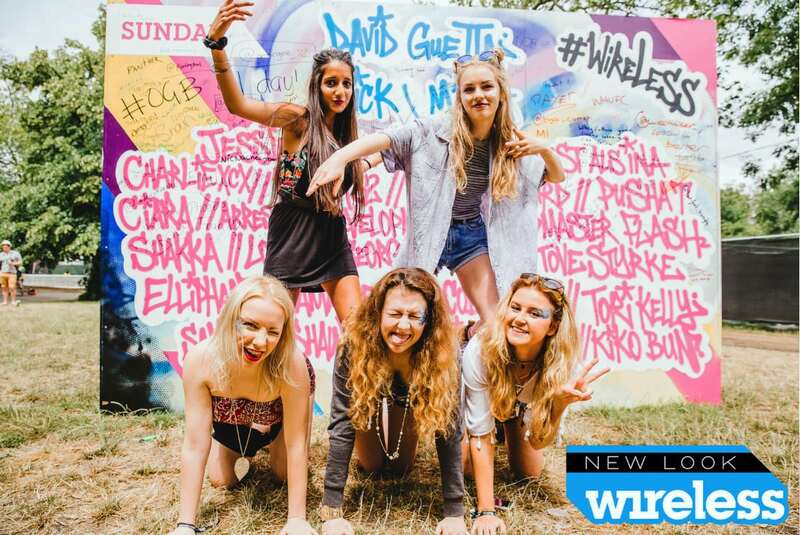 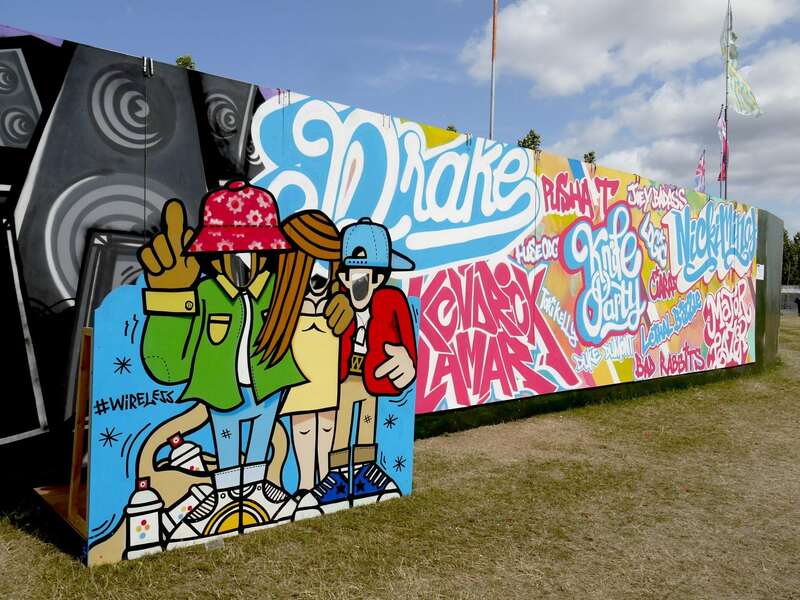 We were invited back for a second year at Wireless, one of the UK’s largest summer festivals to engage festival goers at the entrance in Finsbury Park in London. 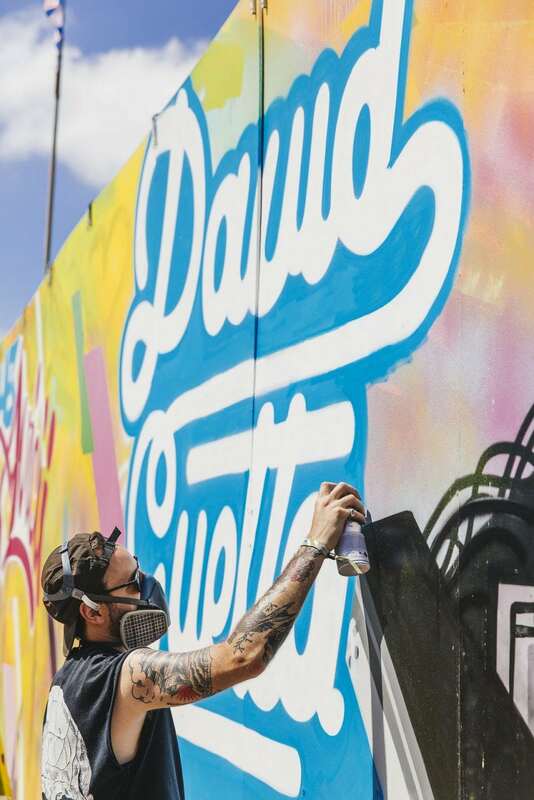 With Drake, David Guetta and Kendrick Lamar head-lining some 60,000 fans flocked over the 3 days. 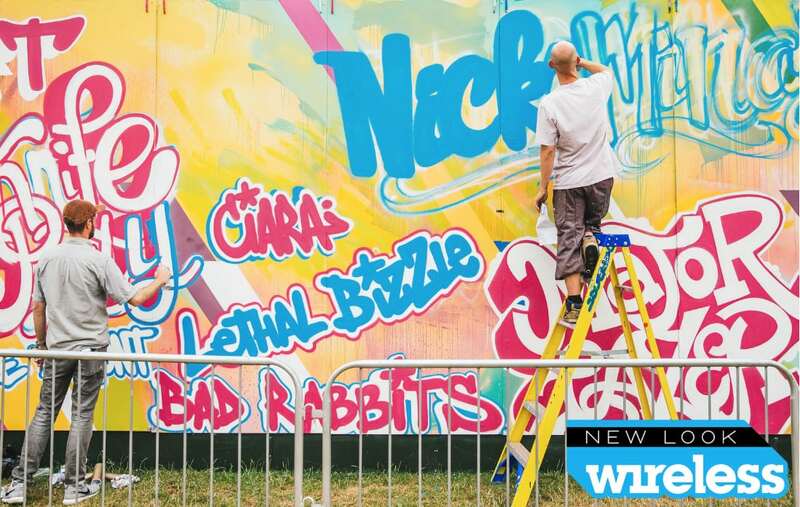 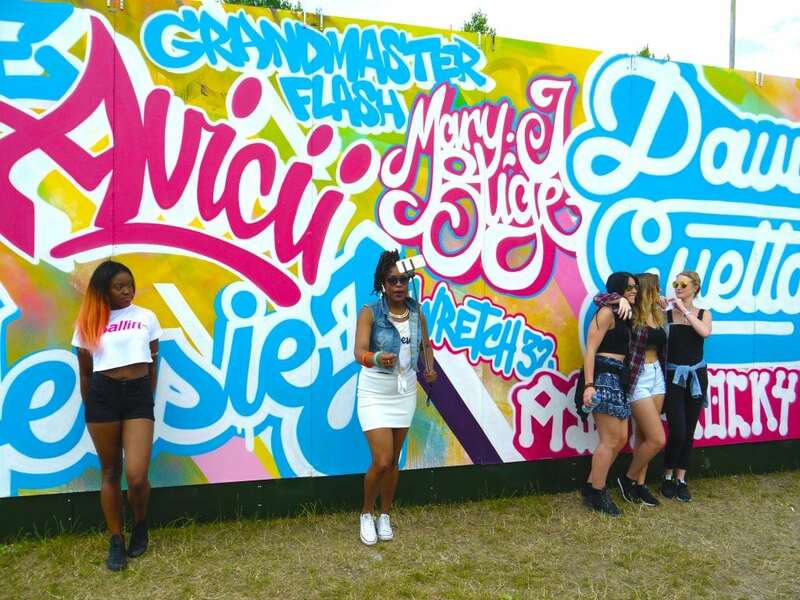 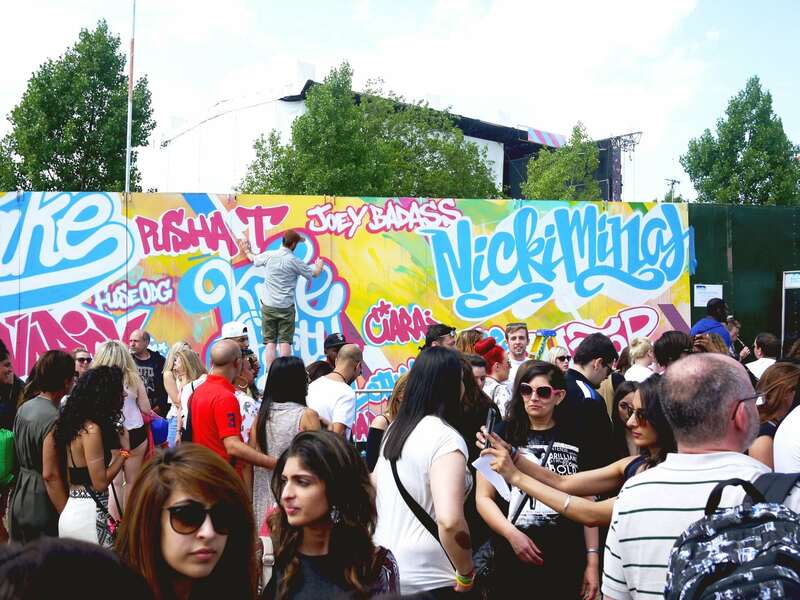 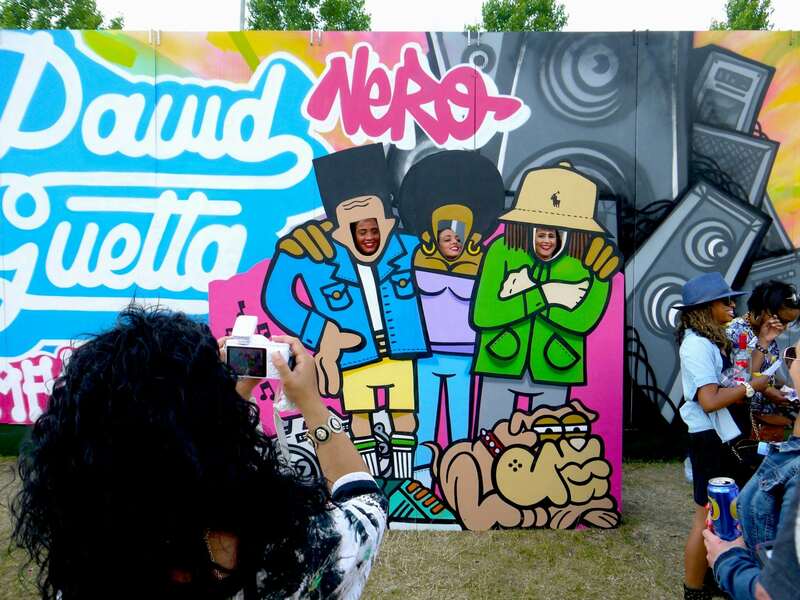 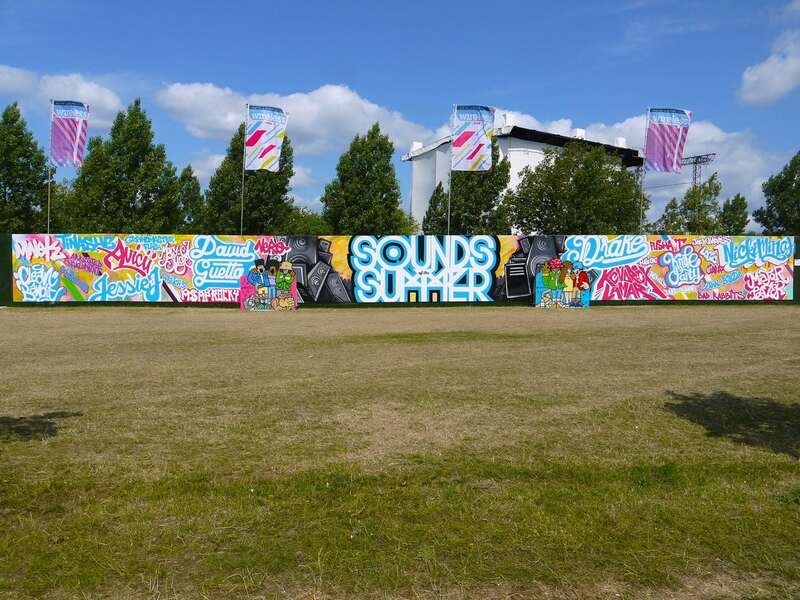 Five Soulful artists created a 3m x 45m graffiti mural at the entrance to the venue – entertaining festival goers with their can-control as they added headline acts to the pre-painted ‘Sounds of the Summer’ typography. 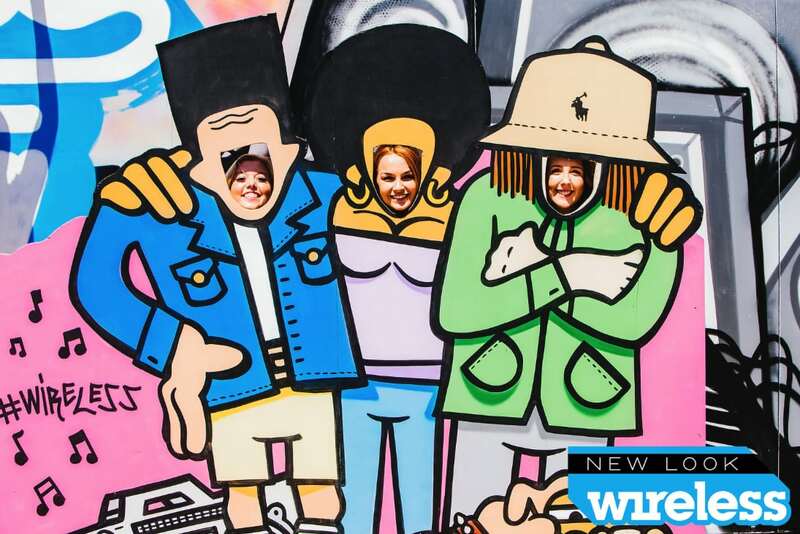 Photos were aplenty as people engaged with this and the two urban free-standing sally boards either side of the mural – sticking their heads through the holes and posing appropriately. 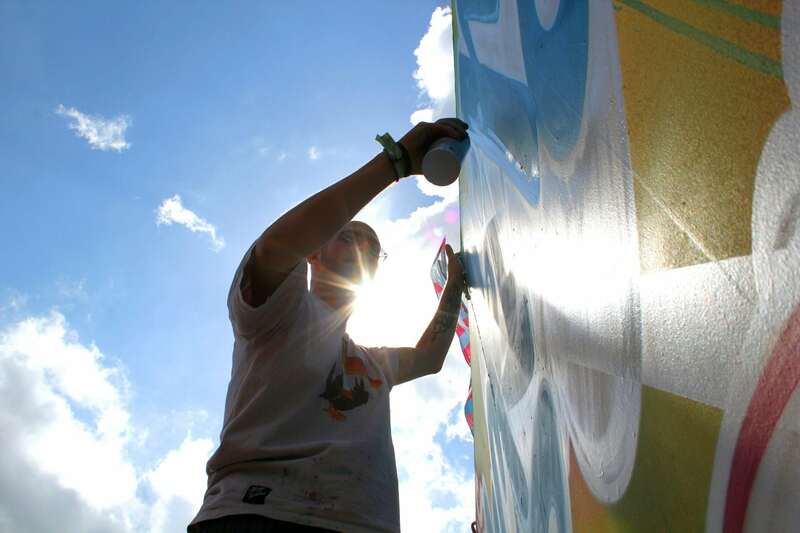 Hundreds of people also signed the giant freestanding festival guide we had created. 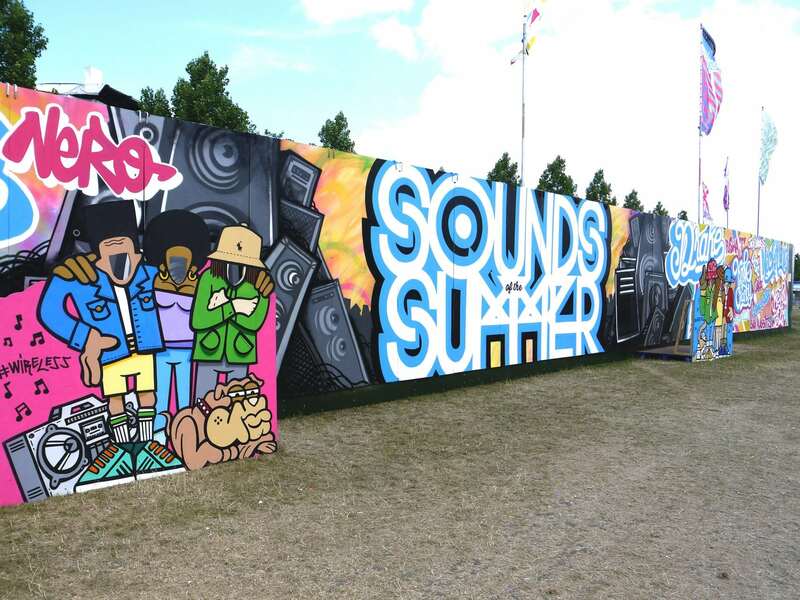 This 2.4m x 3.6m plywood box was pre-painted with each day’s line up on each side.